Customizable show states. You can tell your bar under which macro options to show, and at what opacity. I have significantly less time to code now than I did previously. Dominos is intended to be easier to maintain. I wanted to see how much I could do while maintaining compatibility with the standard action button code. I'm not entirely happy with the direction I took with Bongos3. I added features that I do not see myself using personally, and thus feel that those features will be neglected and bug ridden. * Reintroduce fix for Achievement frame errors. * Fix issues causing the cast bar to not work properly. * Work around an issue causing menus to sometimes not render properly. * Improve reputation display for factions at exalted levels. * Fix paragon reputation display. * Hopefully fix the null index issue. * Updated artifact XP calculations to include the new tier parameter. * The roll bar module should now move the roll bar frames again. * Added a second bar that should only move the alerts frame. * Dominos_Progress: Change label of Lock Display Mode to Auto Switch Modes, and set it so that you can click to switch modes either way. * Dominos_Progress: Add percentage and remaining as display options among others. * Dominos_Roll: Readd ignoreFramePositionManager call in hopes that it'll fix the "roll frames like to move on their own issue"
* Enabled Dominos_Roll by default again for wider testing. * Changed the rest color on the XP bar blue again to make it easier to distinguish. * Fixed an issue causing showstates to not properly turn off when clearing the edit box. * Remove unnecessary GetChange call that was causing errors. * Disabled Dominos_Roll by default. * Adjusted Dominos_Roll to move the alerts frame, which is what now manages the positioning of the roll frames, among other stuff. NEEDS TESTING. * Fixed an issue causing the reputation bar to not update. * Fixed a bug causing menus to not reset properly after being closed. * Recoded/reorganized most of the UI menus. Sliders have text inputs now! * Caveats: I've not implemented the showstate textbox (still need to do a bit more testing), and this version does not work on realms that aren't running the latest patch. * Prevent the micro menu bar from disappearing if you opened the map fullscreen while in combat. * Fixed a typo I somehow missed. * Workaround to try to ensure the encounter bar works in combat. * Fix out of date roll and xp bars. * Added a fix for cooldown pulses showing up on bars that are completely transparent. * Added Dominos_ActionSets. This is a module attaches action button placements to your Dominos profile. So when you switch profiles, your action buttons can also switch. Dominos_ActionSets is disabled by default, so you need to enable from the addons menu. * Refactored the layout code for menu buttons. * Fix padding issues with frame layouts. * Moved Masque support into its own module. * Resolved errors when opening the menus of the encounter and roll bars. * Added support for cancelling flights. * Added missing dungeon finder button. * Bugfix for an error that would occur when an actionbar had less buttons than normal. * Reorganized folder layout. Make sure that you delete all Dominos folders before installing the addon, and restart the game. * Adjusted the configuration mode look and feel. * Fixed UNKNOWN_STATE display for some stance bars. * Added new option, /dom configstatus : Shows if Dominos_Config is enabled or not. * Implemented a workaround to hide cooldown spirals on transparent action bars. * Removed Berserker stance settings, since it no longer exists. * Fixed some issues causing the menu bar to not show up properly during pet battles/vehicles. * Resolved an issue causing the Dominos override/vehicle bar to not display any icons for certain encounters (ex, Noodle Time, Naz'Jar Battlemaiden). Thanks to mlangen & Wetxius for insight and testing. * Added a fix for the faction reputation error. * Setting opacity with the mousewheel now properly uses a bar's base opacity (thanks ckaotik). * Implemented hopeful fixes to resolve override bar issues. * Fixed combat lockdown errors introduced by 5.4.7. * Reworked code used to hide Blizzard frames and reuse the MultiActionBarButtons, hopefully finally preventing the addon blocked errors. * Fixed a regression that was causing the help button to not display again. * Resolved taint errors related to the Blizzard store button. * Added back the help button. * Added a new option to disable Blizzard artwork on the extra action button (available from its right click menu). * Adjusted override bar controller to use the new [shapeshift] macro conditional. This should hopefully resolve issues with fights that use the temp shapeshift bar. * Lowered surrogate button binding priority. * Updated the TOC for 5.3.0. 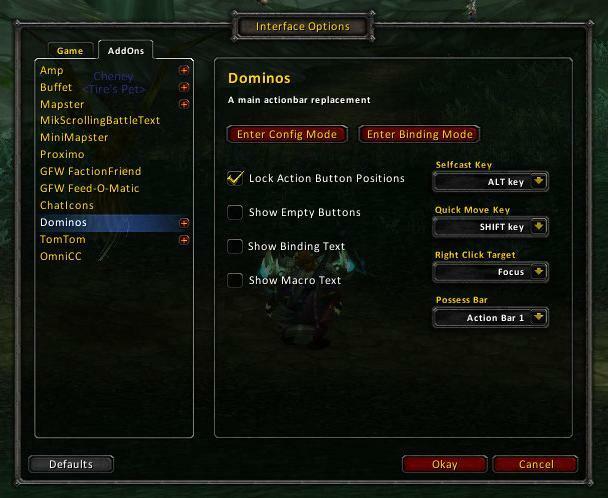 You can still use Dominos 5.3.0 with WoW 5.2, but you'll need to check the Enable Out of Date AddOns checkbox in the addons menu on the character select screen. * The Encounter Bar (PlayerPowerBarAlt) should now show up when using the Blizzard Override/Vehicle UI. * The class/stance bar has been rewritten. It now reuses the standard stance buttons and bindings and should no longer produce an error if you happen to level up and gain a new stance/form while in combat. * The extra bar has been rewritten to now display and use the standard bindings for the bar. 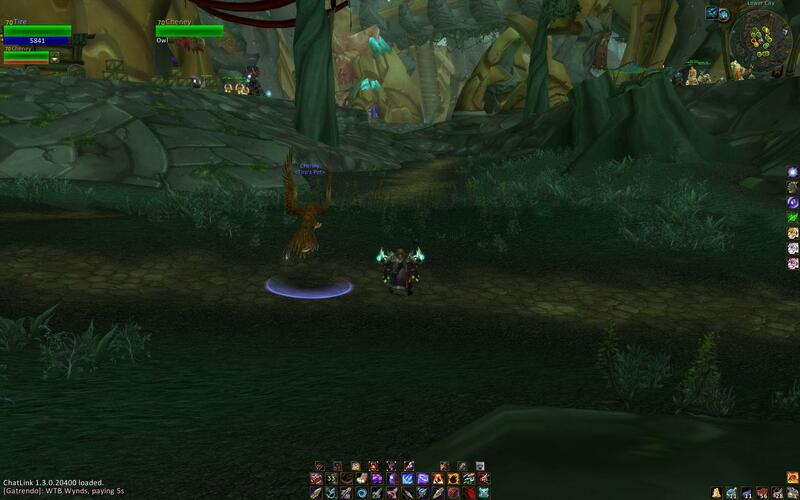 * Added shadow meld paging support for Night Elf characters. * Adjusted hide blizzard code to hopefully reduce tainting issues. * Implemented full "Cast on Key Down" support. * Added Dominos_Encounter: A new module for moving around the PlayerPowerBarAlt that shows up in some encounters. Thanks to Goranaws for the original version. * Resolved issues with the display of the menu bar when the world map is shown and hidden. * Resolved issues with empty action buttons sometimes being shown. * Added a bit more debug information to the /dom statedump command. * Fixed an error that was caused by attempting to read main action bar page information in combat. * Fixed show states being broken. * Reworked how the override bar works a bit again. Should hopefully handle the state of a vehicle without a vehicle ui. * Resolved issue with buttons not working after the override ui is hidden. * Added new global option: Use Blizzard Override UI. When enabled, shows the Blizzard Override UI interface. * Added new advanced bar options: Show with Override UI, Show with Pet Battle UI. 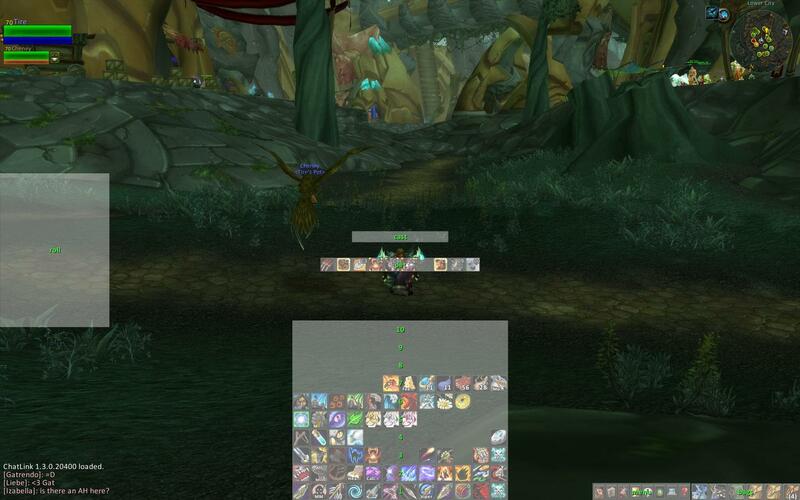 These control what bars will show up when the override ui/pet battle ui are shown. * Reworked override ui code to better handle cases where action bars should change, but the UI does not. * Renamed Possess Bar option to Override Bar. * Reworked the roll bar. * Accidentally reverted the paging conditional for Shadow Dance; this has now been resolved. * Fixed up Tree of Life bar switching. * Renamed the Shadow Dance slider to Shadow Dance/Vanish to reflect that it controls paging for both abilities. * Warlock metamorphosis should work properly again. * Made Dominos hide itself when the pet battle interface is shown. * Made Dominos hide itself when the vehicle interface is shown. Dropped the Dominos vehicle bar. NEEDS TESTING WITH A VARIETY OF VEHICLES. * Updated the possess bar to use the new [possessbar] macro conditional. * Updated the extra action bar to use the new [extractionbar] macro conditional. * Fixed divide by zero issue on the XP bar. * Re-registered the event UPDATE_EXTRA_ACTIONBAR on the Blizzard actionbar controller so that the extra action bar will show up again. * Added initial support for Monk stances. 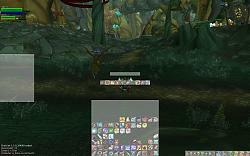 * Fixed an issue with the extra action bar frame interfering with clicking objects near the bottom center of the screen. * Adjusted the extra action bar to work more like a normal bar. Using RothUI's events for showing/hiding it. * Adjusted action bar code to work with 4.3 action button event registration changes. * Forced ExtraActionButton1 to be shown. Hoping that'll make it stay shown. * Goranaws: Added support for Masque, dropped legacy ButtonFacade support. * Tuller: Added some upgrade code to supply a default bear form bar if one was missing. * Profile switching bugfixes related to the menu bar code changes. * Switched how I store state information internally to not be directly based off of macro states, so that I can account for things like users with/without Tree Form. * Removed Quick Move key option, since Blizzard added it to the Action Bars portion of their interface options menu. * Made it possible to drag actions off/to the totem bar once again. * Rewrote the hide blizzard function to work a bit more like the Bartender one. You can now once again control bag/quest log placement by checking the extra blizzard action bars. * Made the totem bars act a bit more like the standard Blizzard one: Right click a totem or call spell to bring up a list of totems/calls to select from. Left click to switch. You can also mouse-wheel a call button to switch pages. * Fixed Rogue Shadowdance detection. Added detection for Vanish. * Switched to using the animation system for auto fading stuff. * Fixed some issues causing Dominos to not work with the Chinese client. * Added the ability to specify an opacity, instead of simply just telling a bar to show or hide, to the showstate dialog. For example, setting a bar's showstate to [combat]100;show will force a bar to have 100% opacity (regardless of if the bar has mouseover fading enabled) in combat, and otherwise just show the bar with its normal opacity setting. * Fixed a bug causing the experience bar texture to tile instead of stretch. * The totem bar should now work on characters even if he or she has yet to learn a call spell. * Added missing libraries (again). * Added two new options to the totem bars: Show Recall and Show Totems. * Updated LibKeyBound, giving Dominos support for up to 31 mouse buttons. * Adjusted the defaults for the new layout ordering options to prevent issues. * Made the totem bar not disable itself when logging on a non Shaman character. * Added a new addon, Dominos_Totems – Provides three totem bars for shamans. * Fixed the [none] targeting option. * Added some code to hopefully make the VehicleSeatIndicator stay completely on screen. * Fixed the bug causing your bars to not load properly when in a form/stance/whatever. * Rewrote the bindings system to play more nicely with the stock blizzard bindings. * Removed pet option for the possess bar since it no longer works. * I hear priests have class bar for shadow form now. * Changed the behavior of the talent button: It will now always be displayed, and will now blink on login if you have free talent points to spend. * Added a very basic vehicle bar UI. Its hacky, and needs a good bit of testing. * Removed the Lock Action Button Positions option. The one on the action bars portion of the blizzard side of interface options should be used in its place. * Added a /dom numbuttons <count> command: Resets your actionbar layout, creating as many bars as possible with <count> buttons. * Fixed options menu code for the new Wrath build. This will probably not work on the PTR. * Fixed state code to work with the latest Wrath build. * Profiles now default to one per class, instead of a single global profile. * Turns out the casting bar did not work in 1.4.0, so I fixed that. * Adjusted the possess bar to have a priority greater than everything except for modifier paging. * Fixed an error in the right click menu of the experience bar. * Added in Chinese localization (thanks xuxianhe) to Dominos_XP. All localization files were moved to a localization directory. This change will require a restart of wow. * Added in an experience/reputation bar, Dominos_XP. Its basically the same as the Bongos one, except it cannot be made vertical, but has shared media support. * Updated LibKeybound. This may require you to restart wow. * Fixed a hotkey display bug. * Removed some debug prints. * Fixed a bug where Tuller was sleepy and forgot to update the possess bar code with the right click selfcast fixes. * Fixed an issue with right click self cast when not paged on a bar with paging enabled. * The interface options menu will now hide when entering binding mode. * Made the buff highlighting code more generic. It'll work on any standard action button that is loaded after it. For some reason i cannot page my main bar to the bar 6 like i used to do for years, sorry to ask here but i tried like every option to get that back to work. Is there something that blizzard changed or we have to wait for an update from dominos ? thanks a lot of the work on this and any help i can get! Hiya! This was actually a problem on Blizzard's end! I had the same issue and was going crazy trying to figure it out. Turns out, they just reset the keybindings in-game! Just go to you keybindings menu and rebind it! The bars available for paging are dependent on the blizzard settings for extra action bars. The more you have checked, the less pages are available to dominos. Weird! I feel positive I tried that exact thing twice before -- it's the way things "used to" work -- but I just tried it again and it resolved back to 4 pages the way I wanted by adding a couple more default bars. For the longest time, all of my toons have shared a similar Domino's setup -- a main block of 2x6 buttons that scrolls through four pages/states. Since the patch, it now scrolls through six pages. I have tried every option and combination of options I can think of, both in the Dominos config and the Blizzard action bar settings, to return to only scrolling four pages but to no avail. When I right-click Bar 1, the Paging tab shows Pages 2, 3, and 4 active (and swapping to Bar 2, 3, and 4). Pages 5 and 6 are Disabled, yet still scroll through. Not sure if this is an actual bug or just some options that changed when everything was updated. Hello. Is it possible to hide this green lighting from usable items on action bar? I just want it looks the same as any ability. And this green glow looks ridiculous. Make sure you're installing to the _retail_ folder within the wow directory. Hi Tuller - I've used Dominos since it first came out, and after a hiatus in BFA, I came back and my Dominos 1-10 action bars aren't showing, configured or otherwise. I reinstalled..nothing...deleted and reinstalled...nothing. I can see everything, but spell bars. Any help you can offer? Last edited by Jenipherh : 12-15-18 at 11:58 AM. I actually have a alpha/beta on Curse for that already. Nice, I'll check it out, thank you again. Just in case you weren't aware. 8.1 has changed the ActionButton_ShowGrid function to include a second parameter (button, reason) which has also been included in the assert. This causes a problem in DOMs ActionButton:UpdateGrid function. Thanks for all the good works . I.m not entirely sure what I did but I've recently been encountering an isse where my 1st bar goes straight up instead of left to right. It won't let me adjust it in dominos either. I tried a multitude of things and couldn't figure it out however a temporar fix is to click a different profile in dominos and click back. This temporarily solves thr problem until the next loading screen. Help! If you're looking to donate to me, donate to MAG America instead. They're an organization which removes land mines from areas after conflicts.